Britain's Queen Elizabeth II walks with Gov. Tim Kaine, D-Va., as she arrives for a visit to the State Capitol Building in Richmond, Va. 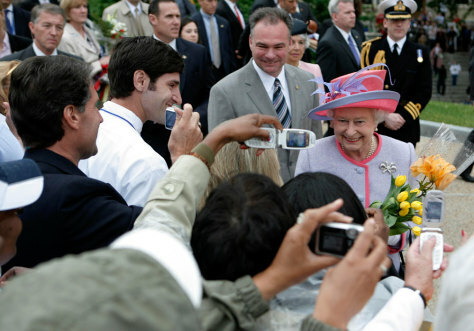 It is the Queen's first visit to the United States in 16 years.